Montecristo double corona cigars are a rare blend of exquisite tobaccos, this premium handmade cigar is a model of craftsmanship, with a complex depth of flavor. 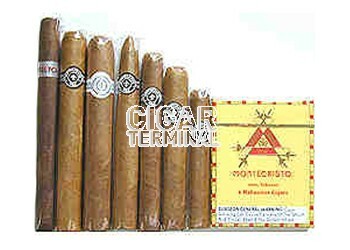 You get 7 handmade Montecristo cigars! 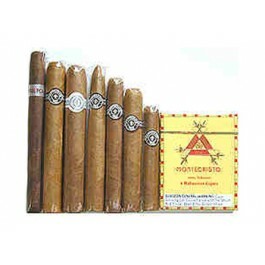 Includes a rare Montecristo Platinum, Montecristo Double Corona, Montecristo White Rothschild, Montecristo Habana 2000 Rothschilde, Montecristo No.2 Torpedo, Montecristo Robusto, & Montecristo Half Corona. Plus a pack of Montecristo Minis.